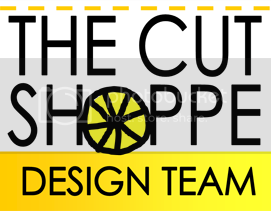 I have a new layout on The Cut Shoppe blog using the gorgeous Rosey Posey cut file. I had a beautiful, pastel colored paper that called for a soft layout. I decided to use white on white for an elegant and pretty look. 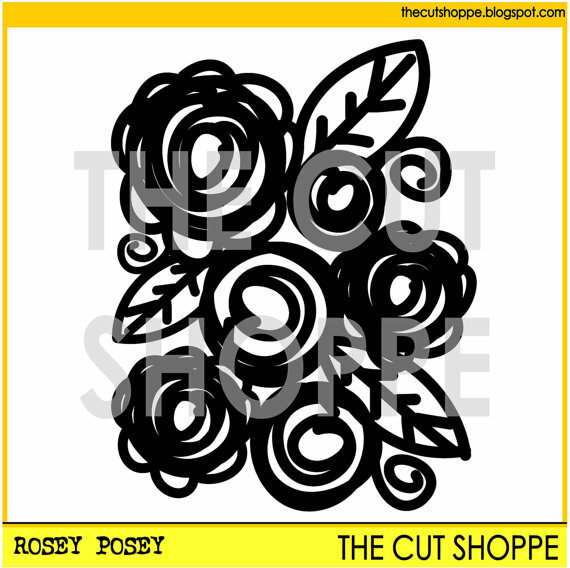 I cut out the "Rosey Posey" shape in a larger size, and used it as the background for my page. I love how it adds so much dimension and complexity to the layout without going over the top! 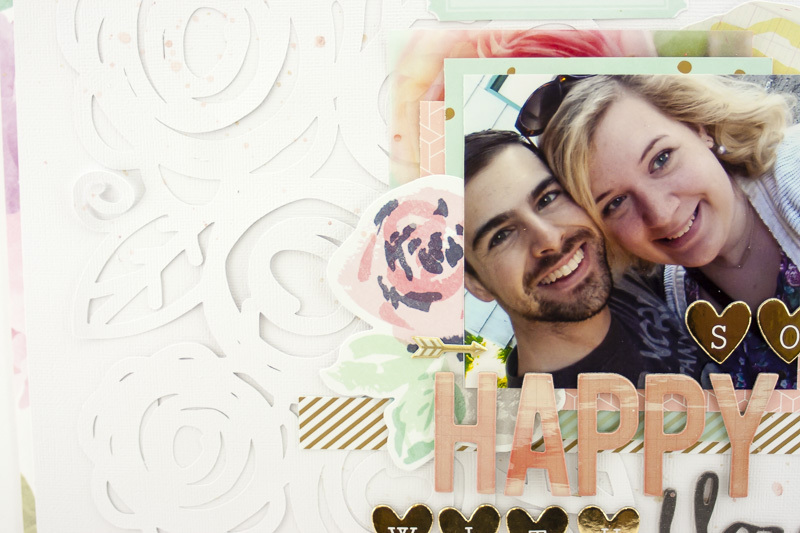 Using tone on tone is such a great way to add a little something extra to your layouts! I used flower elements with a similar shape to tie the look together. 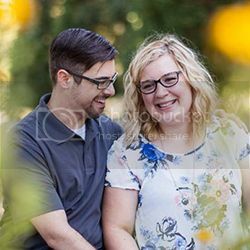 I can't wait to use this cut file again, it's definitely a favorite of mine! 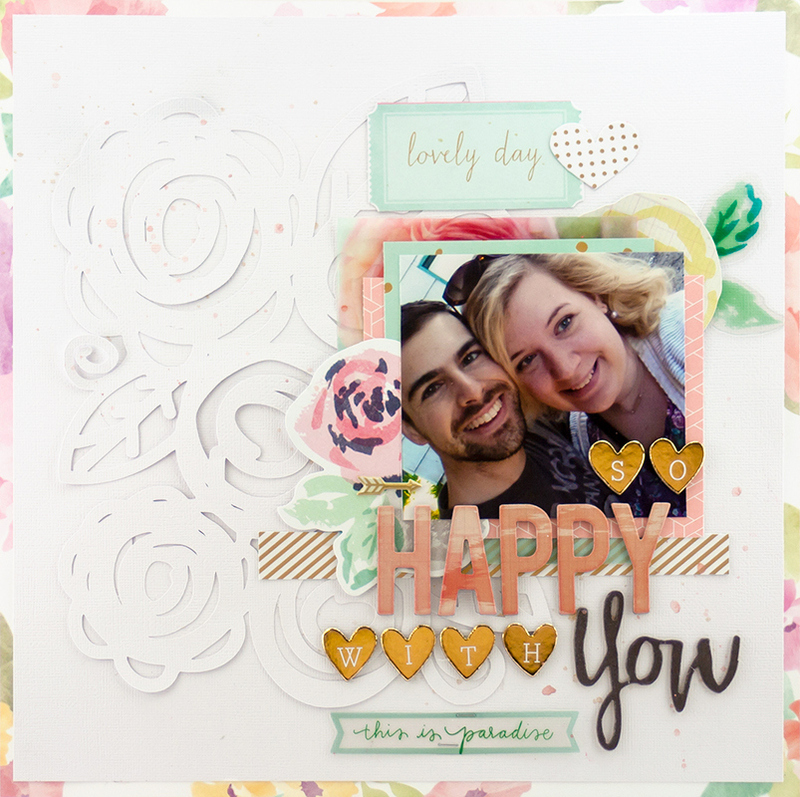 Stunning layout Allie! I love the White cut file layered over the White background paper!